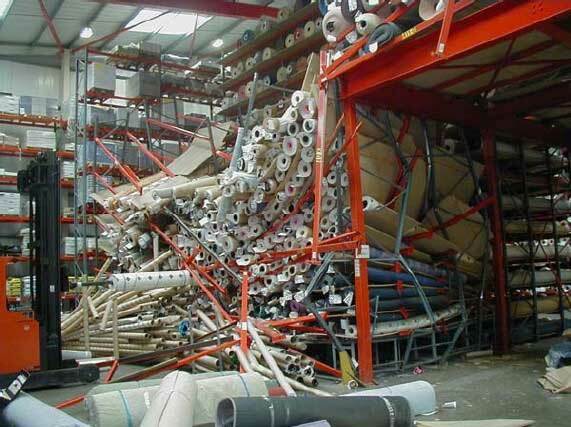 Avoid disaster and protect your racking with Protect It’s. 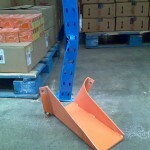 Pallet racking systems are not designed to resist forklift impact. 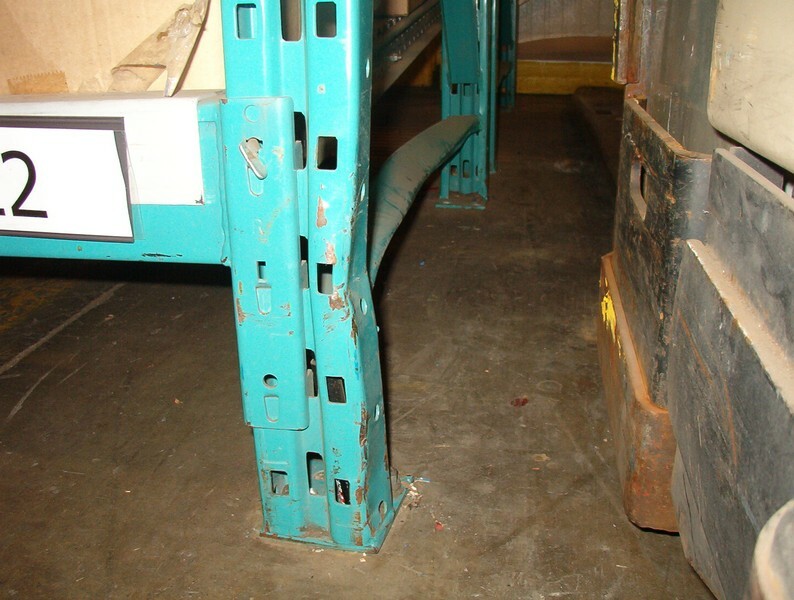 Even low speed collisions can cause structural damage, resulting in possible rack collapse, and risk of injury. 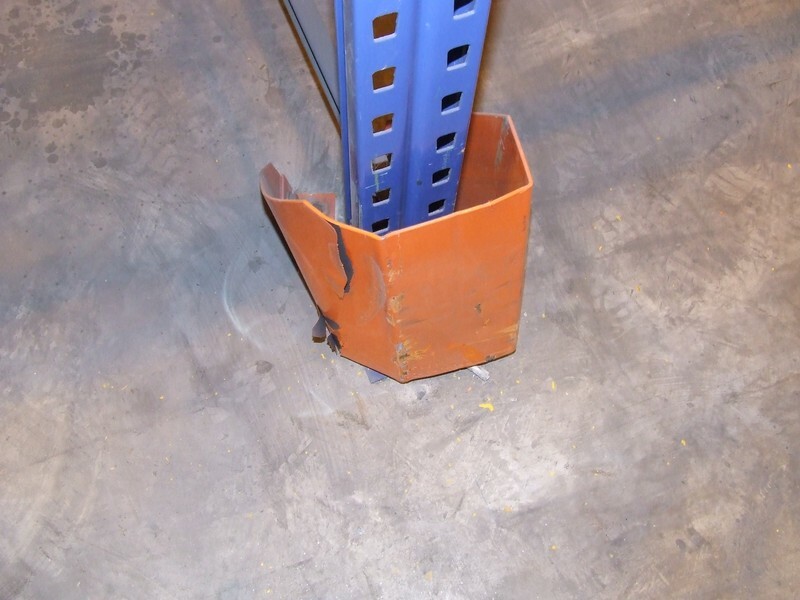 Protect-it pallet rack protectors are designed to minimise possible damage, they are simple to install, cost effective and designed to fit most column sizes and major racking brands. 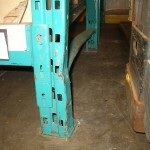 Where racking is likely to be struck by lift trucks and other vehicles, it should be protected. 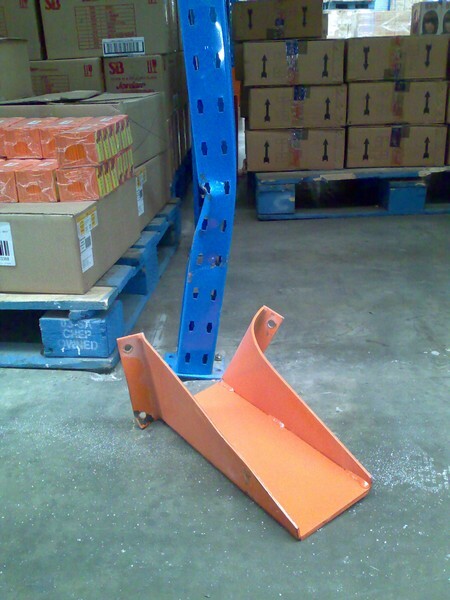 Protect-it pallet rack protectors are designed to minimise possible damage, they are simple to install, cost effective and designed to fit most column sizes and major racking brands. They also meet the highest recognized European standards for rack protection on a normal duty upright for both front and side impact. Click here to see the test results. Protect-it’s are easy to instal, taking just seconds by hand. Using an ingenious spring clip design, simply click into place and the Protect-it securely grips to column and adjusting to a suitable width. Unlike other competitor products there are no additional attachment systems like bolts or Velcro. 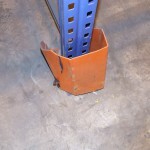 Most metal column guards are normally bolted into the concrete floor. When impact occurs, to replace damaged guards will also damage the concrete floor, adding to the replacement cost. The plastic is designed to absorb impact, in order to absorb impact the device must deform. For light to medium impact any deformation is reversible, returning to it’s original state once the external force is removed. 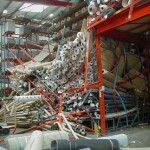 In more serious impacts the Protect-it may become damaged after an irreversible deformation or fracture. In these cases they are very easy and cheaper than other protection guards to replace.